The man of Tennis and the 17 times Grand Slam winner, Roger Federer had a victory on Wednesday and overpowered the twenty six year old Latvian Ernests Gulbis with marvelous scores of 6-3, 7-5 in sixty five minutes. It was a piece of cake for Federer who is preparing for Wimbledon’s Grass courts to beat Gulbis by means of holding serve to bag the first set. 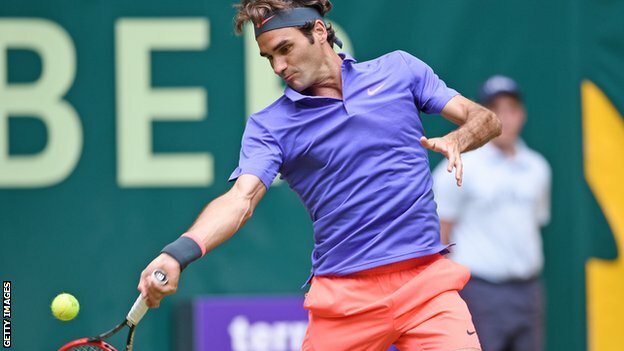 It was a heart-stopping exchanges in the second set before Federer surprised Gulbis double faulting at 5-5. After surviving a match with Philipp Kohlschreiber, Roger Federer did it again effortlessly compared to the pressured Gulbis who attempted many times but still failed to win. He needs to be more focus and smart with his own strategies like the rest of the tennis players so that their fans will be overwhelmed with their upcoming matches. 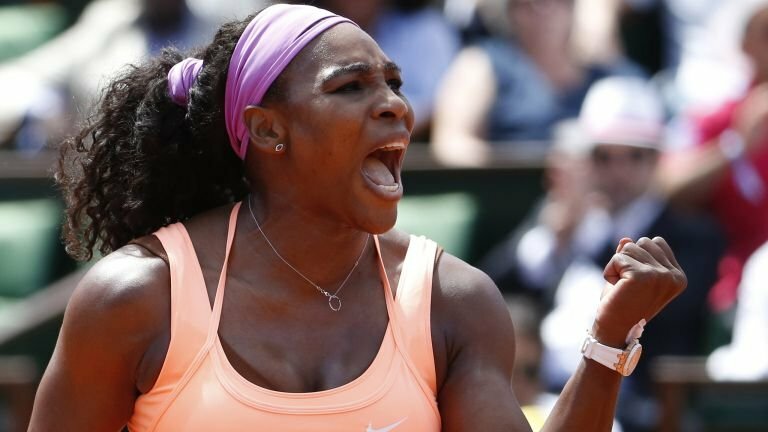 The 33-year-old will now meet German Florian Mayer who won against Steve Johnson with 6-3, 7-6 (7-4). While on Thursday, Kei Nishikori of Japan will face German Dustin Brown, a second round match with Czech the third seed Tomas Berdych who defeated Borna Coric in a breathtaking straight sets and Ivo Karlovic with scores 6-7(5) 6-3 6-3 win contrary to German Alexander Zverev. Please report your match results. Scores affect Automatic Player Matching and your Ranking. Please report your scores. They play a part in how we connect players. We’d like to ask you to take a minute and report your match results, if you’ve played any matches recreationally or as part of the Player Matching Program. The benefit of reporting match results is that it informs the player system, which can then connect you to more compatible players. It’s better to report a score (even if you lost), than to not report anything. This way we know you’re an active player and can suggest you to other active players. How to report your scores. You have 2 options. Option 1. If you have Premium Plan with Player Matching. Option 2. If you played recreationally, anyone can use this. 2) Find your opponent (go to your Messages and find a conversation with them), click on their name and then click on the green Report Scores button. Your match history is not only important to other players, who can decide whether you might be a good match for them, based on their playing record, but also earns you a spot in the Tennis Round player rankings Leaderboard. We’re super excited to announce a great tennis training event in Tucson, Arizona that will take place in October. For the serious tennis players looking for high performance training this is a must attend event, so book a spot today! Created by serious tennis players for serious players, the United States Tennis Congress event is designed to give passionate adults (low-intermediate through high-performance NTRP 5.0) access to world-class training usually reserved only for top juniors and professionals. Join fellow tennis fanatics and 65 master professionals, Grand Slam legends, physical conditioning coaches and sport psychology experts, and equipment gurus from all around the world for a uniquely fun and inspiring experience covering all aspects of training necessary to improve your game– on and off the court. Do you wish you could train like the pros with the best tennis minds and coaches in the world? If so, we recommend you consider registering ASAP for the 2015 United States Tennis Congress, to be held October 8 (6pm) – October 11 (9pm) in Tucson, AZ — winner of Tennis Industry magazine’s “Most Innovative Tennis Event of the Year” award in 2014. Where will 2015 take you? Wimbledon 2015. Legends Camp. Necker Cup. Join Premier Tennis on their next tennis trip! 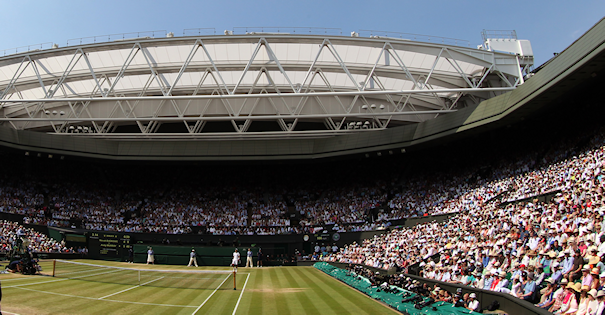 Spend a full day at Wimbledon on either Centre Court or Number One Court with our Wimbledon Debenture tickets. Our prices are up to 20% cheaper than other leading US ticket companies and we never charge a booking fee. Contact Premier Tennis now for a quote, to inquire about Debenture tickets, an official Wimbledon travel package or a custom itinerary, and make 2015 the year you experience the history, drama and traditions of the most prestigious of Grand Slams. Tennis Round members will receive a complimentary official Wimbledon Towel, as used by the players, with any Debenture ticket purchase, while stocks last. Please visit premiertennis.com for details on Wimbledon and our other great travel opportunities or call 1-800-376-0975. Led by Murphy Jensen and Wayne Bryan. Tune up your game in the ultimate tennis camp before mixing with Sir Richard Branson and 15 ATP/WTA Pros & Legends at the final night’s dinner and party on Necker Island. Courtside seats to the Necker Cup Charity Exhibition, held on Necker Island. Entry into the Charity Dinner, Auction & “End of the World” Party with Sir Richard Branson and 15 ATP / WTA Pros & Legends on Necker Island. Visit our website or call 1-800-376-0975 for details and bookings. Play in the Most Exclusive Pro-Am in the World. Join Sir Richard Branson and 15 leading ATP/WTA Pros and Legends for the ultimate tennis Pro-Am. Past Pros have included Nadal, Djokovic, McEnroe, Becker, & the Bryan Brothers to name just a few. 5 night / 6-day all-inclusive package to stay on Necker Island. Team entry for up to two (2) players into the Necker Cup Main Draw that will include Sir Richard Branson and 15 ATP / WTA Tennis Pros & Legends.